The modern Uptown rooms of our Lodge provide you with the perfect b&b while enjoying the Amsterdam Experience. 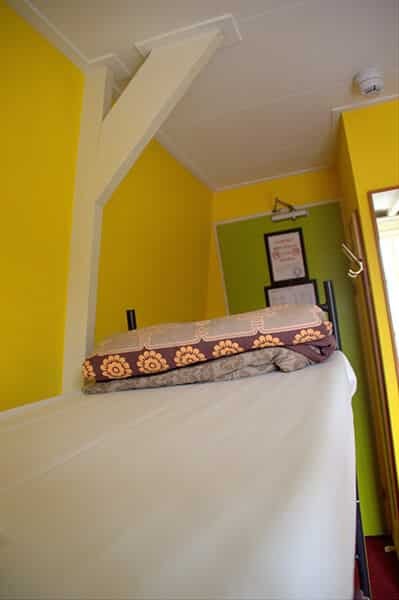 We provide you with a hospitable and modern dorm, having all the good things of our Dutch Capital nearby. You will spend your nights in the comfort of pristine sheets in relaxing beds, all in an environment of typical dutch architecture; a room breathing that typical atmosphere that you came here for. All our rooms have their own badroom, mirror, luggage storage, coat/suit hanger & hooks. Our rooms also have free wireless internet flexible lightning. Our rooms are kept clean constantly and cleaned extra upon request. Check out the complete list of our room facilities. The Uptown Bed and Breakfast stretches the aim – of not charging extra for everything – as far as possible. So, we include as much as possible in our room’s prices in order to suit the needs of our guests. Our prices do depend on the different seasonal dates, bank holidays and national holidays. Fill in the ‘Check availability’ above with your preferred dates and see actual prices. Our Amsterdam Lodge is proud of being rated for having among the highest safety and security standards by the Amsterdam Fire Departement. Your place to sleep strictly complies with the regulations of our governmental institutions in order to guarantee your safety and security.